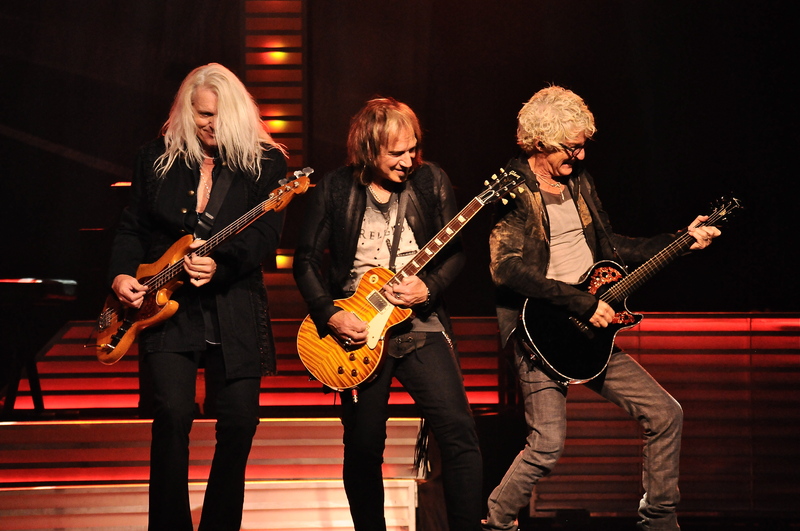 The Avalon Ballroom Theatre at Fallsview welcomed back REO Speedwagon for one night only as the show marked the band’s first visit back to the venue since 2012. The band had spent this past summer touring with Chicago as they co-headlined across the U.S. It was no surprise the band took to the stage with “Don’t Let Him Go”, the song they have used as their primary opener over the last thirty-plus years. While the band has gone through many personnel over their history, this current lineup has been intact since 1991 making it the most stable lineup in the band’s history. Quite a feat in these current times in the music industry. Hi Infidelity may have been the album that put the band over the top but they had been building up quite a nice catalog up to that point. The fans really dug two of those golden treasures in the form of the “Keep Pushin” and the politically driven “Golden Country”. The band also tries to change their show up from time to time. This show was no exception as they played “Tough Guys” complete with the old traditional Little Rascals intro featuring the old He-Man Women Haters Club. “That Ain’t Love” was played with a bluesy tempo while it showed a new side to the song, the familiarity of the original version was missing. For good measure REO added a wrinkle by playing a new song entitled “Whipping Boy” which should be on their next album. There is no timetable on any upcoming releases as of this time. The usual REO classics such as the Bruce Hall lead vocal of “Back On The Road Again” sandwiched between “Time For Me To Fly” and “Roll With The Changes” helped close out the show. As the seventies turned into the eighties the mainstream music scene was dominated by Journey, Foreigner, Styx and REO Speedwagon. These bands featured catchy songs and always seemed to dominate the charts for the early part of that decade. REO Speedwagon have never stopped touring and continue to put on a quality show that no matter how many times you see them, you leave feeling satisfied.